Editor’s Note: This is the fourth article in a five part series on marketing to the LGBTQ community. Belly up to the Bar, the Stoli Vodka LGBTQ bartender competition is underway in 14 cities shaking things up in preparation for the grand finale in June, The Stoli Key West Cocktail Classic. One of the bartenders competing for the Stoli Key West Cocktail Classic title. The theme for the weeklong classic, June 4-10, is “Visibility: Making it Loud and Clear” and ties to Stoli’s new brand campaign of the same name. Finalists from the local events will gather to make their Stoli cocktails and, during their presentation, put a spotlight on a person, place, film song or movement previously unseen in the LGBTQ community. This marks the sixth consecutive year of the classic and one of many of local and national events and programs that Stoli has supported for the community over the last 25-plus years. “When it comes to marketing we really focus much of our efforts on our events because that engagement, we feel, is more authentic and real versus traditional adverting,” Lauren Longenecker, senior brand manager, Stoli Vodka, says. 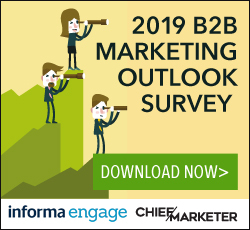 Brands that authentically support and understand LGBTQ people earn their loyalty, a group estimated to be 4.5 percent of the U.S. population with massive buying power of $917 billion in 2017, up from $884 billion in 2014. Stoli in general, and its Key West Cocktail Classic are no exception. The event has grown over the years from the number of cities and attendees at those events to the number of competing bartenders. And what began as a three-day weekend six years ago, the grand finale in Key West is now a week-long event due to the increased interest and number of people that come to join in the fun. Along the way, a lot of lessons learned—not to mention great new cocktail recipes—have been used to improve the events year over year and further build loyalty among LGBTQ. A few examples include a shift in the way local events are promoted—from digital media and direct mail to social media only—which has increased RSVPs to all of the local events. There are Facebook pages for each local event as well as the classic. To maintain a more compact run of show, the number of contestants have been limited and this year audience voting mechanisms are being introduced at each event so attendees can text-to-vote for their favorite at the end of each competition. Attendees also clamored for samples and Stoli did not disappoint. “We are really getting the audience engaged, not just as spectators, but actually showing up in various markets that have a high concentration of the community,” Longnecker says. To get a read on ROI, PR, social reach and engagement, audience attendance and sales volume in markets where Stoli executes are all tracked. Outside of the classic, some of the other events Stoli supports include the Diversity Honors Awards, hosted by the Harvey Milk foundation, the NLGJA Awards by The Association of LGBTQ Journalists, the Night of a Thousand Gowns, as well as various Pride events and festivals throughout the year. In New York in June, Stoli has a full calendar planned for what will be the first World Pride event hosted outside the U.S., which coincides with the 50th anniversary of the Stonewall uprising. 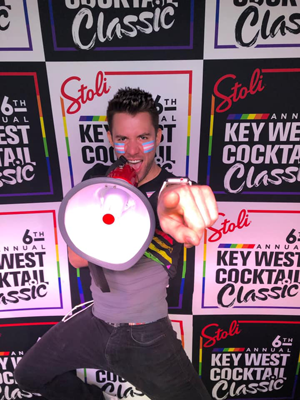 The current mass market global campaign, “Loud and Clear,” which launched last year is supported by the Stoli Key West Cocktail Classic. Print and digital ads feature real people like Frankie and Jackie, two ladies who are engaged. Then there’s Ruben, a fire breather and an LGBTQ advocate. In 2017, Stoli’s “Raising the Bar” digital platform debuted, which reinforces the brands long standing commitment to the community and general equality. 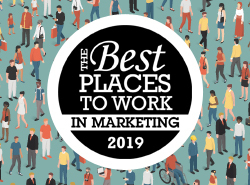 One of the key components to understanding and marketing successfully to LGBTQ consumers is employing and hiring LGBTQ people. Patrick Gallineaux (l) with one of the competing bartenders. Patrick Gallineaux is part of the LGBTQ community. He has worked full-time as a Stoli brand ambassador for eight years traveling across North America engaging with charitable partners, advocacy groups, bartenders and bar owners and consumers at various local and national Pride festivals and LGBTQ centric events. He champions the brand, but also listens and learns and delivers those critical insights back to Stoli. As an example, the “Q” in LGBTQ stands for queer. Years ago that was considered a hurtful and derogatory term. Today, young people have embraced the word so Gallineaux relayed that insight back to Longnecker. In turn, Stoli’s overall program was recast under LGBTQ to ensure it was relevant and inclusive of the entire community. Back at the classic, each of the 14 finalists will win a seven-day, all-inclusive trip to represent their city in Key West. The champion will serve as the 2019 Key West Pride Parade Honorary Grand Marshal and will receive $10,000 for the hometown charity of their choice and an additional $5,000 for a local Key West charity.